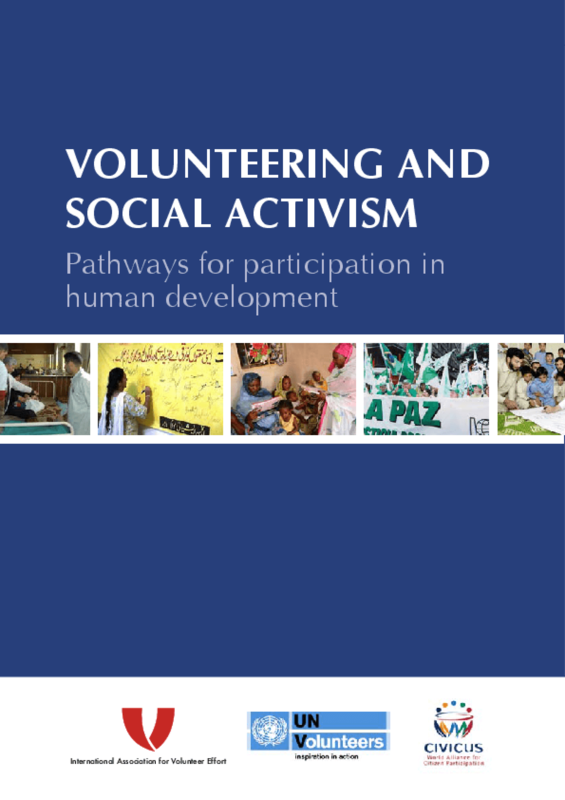 This discussion paper explores the following questions, drawing on the above-mentioned background study: How is volunteering an d social activism understood? ; How do volunteering and social activism foster people's participation? ; What is the relationship between participation and development? ; What is required to widen and sustain participation? Copyright 2008 CIVICUS, International Association for Volunteer Effort (IAVE), United Nations Volunteers (UNV).